The number of people living in deeply unhappy relationships has doubled in less than five years. More than a million people say they are miserable with their spouse or longterm partner, according to an analysis of official wellbeing figures released by the Office for National Statistics (ONS) yesterday. Experts said that many couples who clung together for financial reasons in the recession had become less forgiving of each other’s flaws. Relate, the relationship counselling charity, said that the downturn had been followed by a “social recession” and described the figures as shocking. Previous studies have shown that financial shocks and unemployment can harm relationships but the new figures suggest that the economic recovery has made couples more unhappy. One in twenty (4.8 per cent) was “extremely unhappy” in 2014 — double the proportion in 2010. Extrapolated across the 15.7 million married and cohabiting couples in Britain, well over a million people are miserable in their relationship. A further 3.5 per cent were “fairly unhappy”, also double the 2010 figure. The proportion describing their relationship as “perfect” fell sharply, from 9.2 per cent to 5.9 per cent. 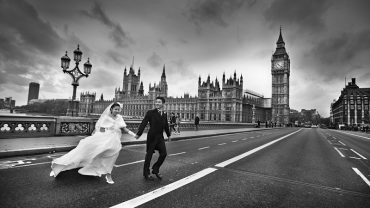 Harry Benson, director of the Marriage Foundation think tank, urged people who were feeling unhappy to think twice before getting a divorce. “Happiness goes up and down, and just because you feel unhappy one year it is not a reason to throw away a relationship,” he said. The ONS’s annual wellbeing survey is based on responses from more than 157,000 people. It also found that depression and anxiety were increasing but some areas of life had improved, with more people in work and a rise in household and disposable income. Almost 20 per cent of adults said they had experienced anxiety or depression in the last year, up 1.4 percentage points from the previous year. However overall in the 43 national wellbeing indicators, 10 improved, four deteriorated and 22 stayed the same compared with a year earlier. Some areas of life were decidedly better improved, however, with more people in work and a rise in household and disposable income and fewer people saying they struggle financially.